Pennsylvania State Legislature where House Bill 1809 to ban ECT being used on children was introduced. 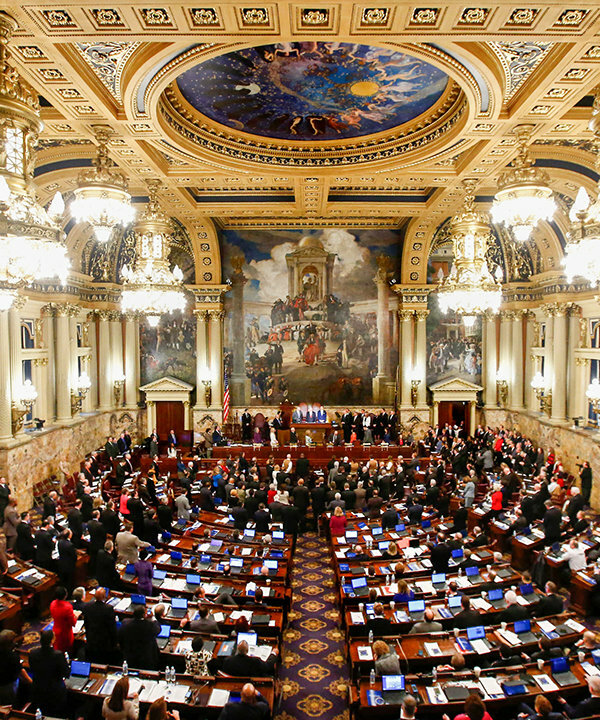 Two Pennsylvania state representatives introduce a bill to protect children from ECT. House Bill 1809, introduced by Reps. Tom Murt and Stephen Kinsey, would ban electroconvulsive therapy (ECT) for people aged 16 and younger. ECT sends up to 450 volts through a person’s brain, inducing a grand mal seizure. The US Food and Drug Administration reports that these seizures can cause complications including heart attacks, difficulties breathing, confusion, permanent memory loss, brain damage and death. An estimated 100,000 Americans are subjected to ECT each year. According to the Pennsylvania Department of Human Services, it was reported that 13 children from birth to age five were given ECT in 2014 and three adolescents between the ages of 13 and 17 were also administered ECT in that same year. Here is what visitors had to say after learning the documented facts in the Psychiatry: An Industry of Death exhibit.